November 19, 2018 – Arsene wants to be known for being faithful, courageous and caring – a man who can be trusted in any situation! This semester he hopes to proceed to the intermediate level of his CPA courses! July 7, 2018 – Arsene started this last school year living with his brother, which was quite far from his school. The long travel days began to be expensive and tiresome, and were also beginning to effect his performance in school. He was able to talk with friends who lived on campus, and they were able to help Arsene find a place to live which is normally difficult to get into! He is looking forward to this change and how it can help him during the next semester! 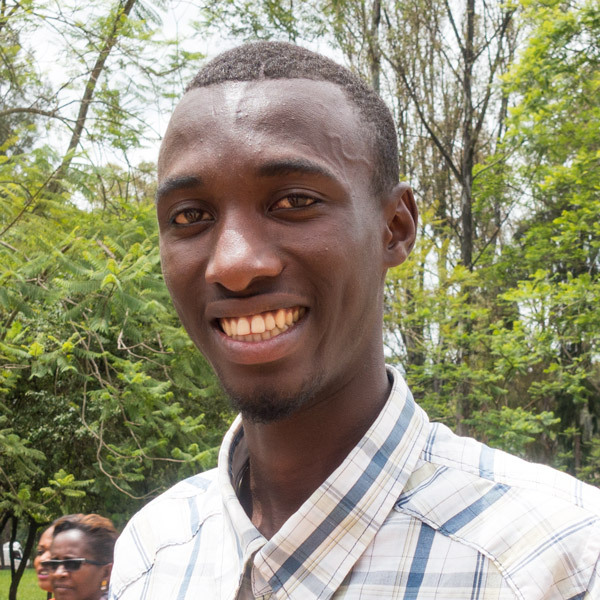 This summer, he is looking forward to spending time in an internship for six weeks, then is excited to be able to go home and visit his family! May 12, 2018 – Arsene values people because family is so important and makes life more joyful, and he values hard wok because that is what leads to success. March 25, 2018 – When Arsene was younger, he use to want to be a Catholic Father, because they were always someone he respected and looked up to! In five years, he hopes to own his own business that is creating job opportunities for his community! Feb 27, 2018 – The biggest inspiration to Arsene is a friend named Marie Claire. She is like a sister to Arsene and took care of him when she got out of high school. He said she always inspires and encourages him to work hard! Jan 25, 2018 – The book Arsene recently read was, Bud Not Friend. He was inspired by how a little kid had the courage and tried his best to find his grandfather after the death of his mother. Dec 18, 2017 – For Christmas, most families attend church and then share a special meal together that usually consists of meat and potatoes! The word Arsene thinks his friends would describe him as is “kind” because he loves people and always tries his best to be nice to everyone! Nov 11, 2017 – Arsene is thankful for the goals he achieved this year! He was able to get his provisional driver’s license and sat for the foundation level class for CPA, he is thankful for the These Numbers Have Faces staff and donors. Oct 8, 2017 – We are so excited to welcome Arsene into the TNHF Family! He spent his holiday before beginning University sharing the word of God with his community. May 25, 2017 – Something Arsene wishes more people knew about Rwanda is that the people embody forgiveness. He thinks the world can learn much from them! March 28, 2017 – When asked about the 3 things he values most, Arsene said people, working hard and giving thanks! Feb 13, 2017 – What empowers Arsene the most is his faith. Knowing God’s plans for his life are good inspires him to work hard and stay motivated. Dec 8, 2016 – In 2017 Arsene’s goals are to start his CPA course, save for his future by working part-time, and become closer to his family! Oct 14, 2016 – Arsene spent his summer at home where she cared for his family along with his older brother. The highlight of his summer was being accepted as a TNHF scholar! Arsene grew up in a family of nine; after the 1994 Genocide, however, he is now one of only three survivors in his family. While bitterness and heartache had the chance to take root, Arsene instead developed the desire to be a leader for the next generation, filled with peace and hope. Arsene wants to open a technological school and contribute to his country’s development by taking the resources Rwanda has and use them to be a force of growth, knowledge, and leadership.